People keep bugging me to retell funny stories. At my previous employer NetApp® (Network Appliance), funny things would often happen around April 1 each year (surprise!). The year 2002 was not a particularly happy one in silicon valley. Following years of dotcom fueled growth, NetApp and other companies saw the business environment weaken. 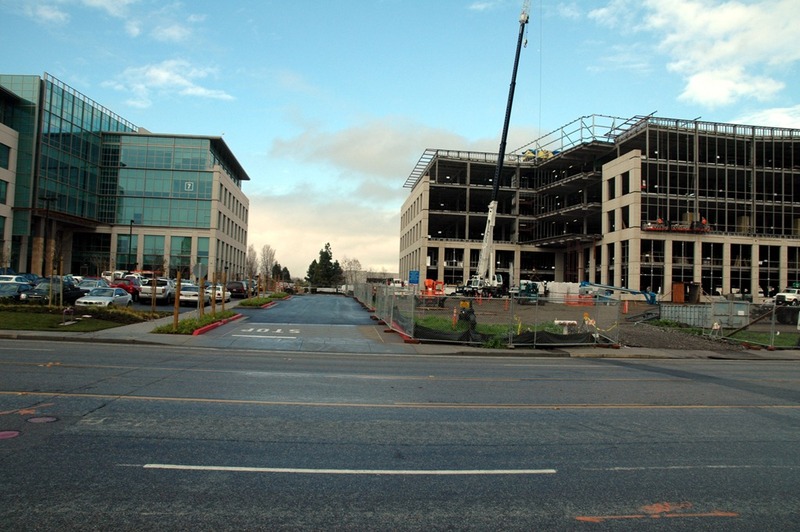 NetApp had been growing quickly and was rapidly constructing offices to hold the expected employee growth. Following the downturn, unfinished construction and materials sat idle, a sad sight. Also disheartening – NetApp sat in a sprawling corporate park, with the nearest espresso shop miles away. 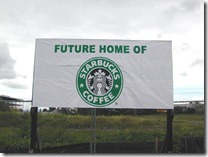 On the morning of April 1, 2002, employees arriving to work were pleased to see a new sign. 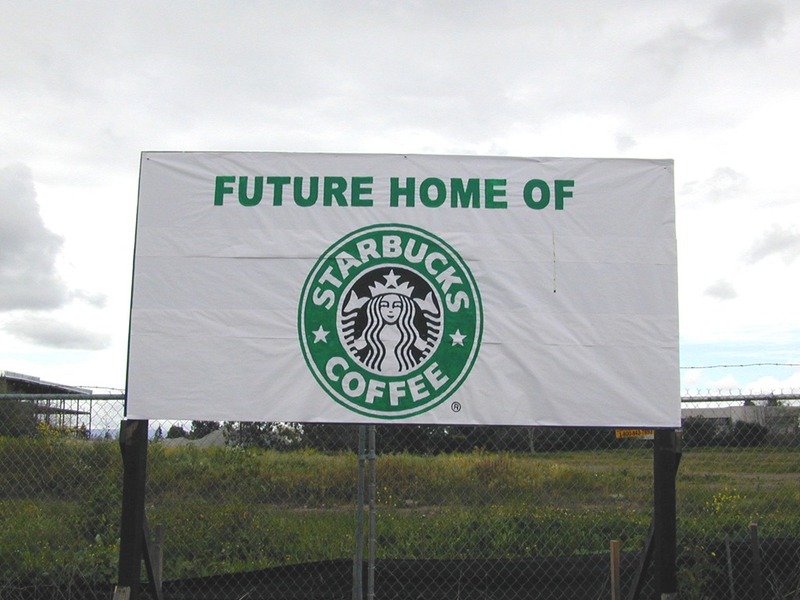 Starbucks® was coming to town! 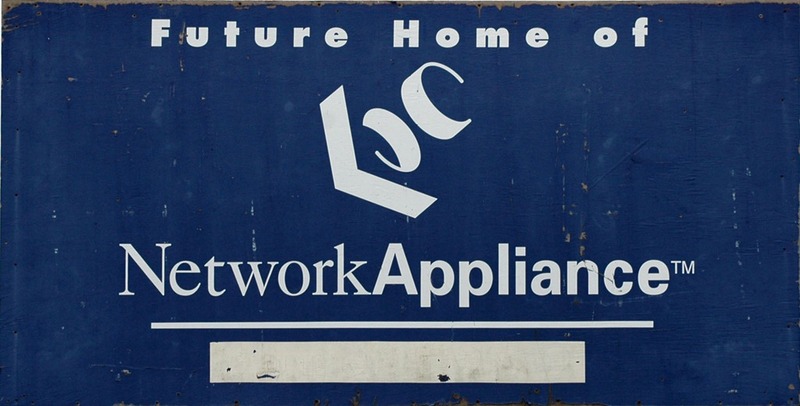 The Future Home of Network Appliance sign had been replaced with a sign announcing a forthcoming coffee shop, a welcome sight. One of the funniest things about this event was that it generated very little buzz on April 1. Starbucks shops were spreading like weeds, and it simply was not surprising to see yet another one arriving down the street. Widespread discussion did not ensue until the next day, when the sign was pulled down. “What happened?!? I thought we were getting a Starbucks!” and similar comments were frequently heard in the office hallways. I’m happy to say things have changed in the years since. 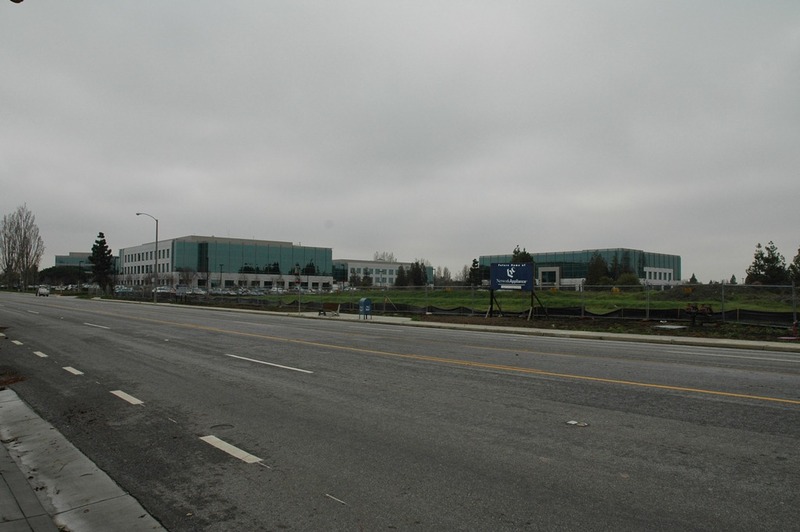 NetApp recovered, resumed growing, and filled the empty field with new buildings and parking facilities. My disclaimer: Starbucks and their logo are registered trademarks of Starbucks Corporation. The appearance of the new Starbucks location described here appears to have been a hoax (though if true, would have been welcome). I think their coffee is tasty and recommend it, but I otherwise have no association with Starbucks. This entry was posted in Humor, NetApp, Pranks. Bookmark the permalink.